Businesses are talking about digital, but are they truly becoming digital at their core? Discerning Digital MD Richard Lucas spoke recently to Greater Manchester Business Week about why investing in digital is no longer a choice. The pace of technological and digital change has gone into overdrive over the past two decades. The ways in which we work, shop, play and communicate are being revolutionised at regular intervals - and this shows no sign of abating. Businesses that don't choose to keep up with this evolution run the risk of being left behind. Richard Lucas is founder and managing director of Discerning Digital, based in Manchester's King Street. He established the company in 2012 to enable companies to develop new revenue streams, create new products and institute change across their organisations through successful digital transformation. Here he gives his opinions on the state of the sector today. 1) Is every business a digital business now? "While I believe that every business should consider themselves a digital business, often this isn’t the case. "Many of the businesses I speak with are just at the beginning of a digital transformation process, and many more are not fully aware of the risks of failing to embed digital at their core, or indeed of the enormous advantages of doing so. "I think what’s key to this failing is the perception that digital is about technology or reserved for technology businesses. For me, digital is, and always has been, about your customers. "The advent of mobile devices has created an always-on consumer, one who wants to do their banking on the bus, talk directly to their favourite brands on social media and get peer-to-peer reviews on products and services. "The levels of convenience, service and personalisation of big digital players like Amazon and Google have (perhaps unfairly) raised the expectations of customers, and even corporate buyers are demanding more from their interactions with businesses. "You may not consider your business to be digital but your customers almost certainly are, and if you don’t think your business is digital, then you aren’t truly focussing on your customers. 3) Are some businesses better suited to digitisation than others? 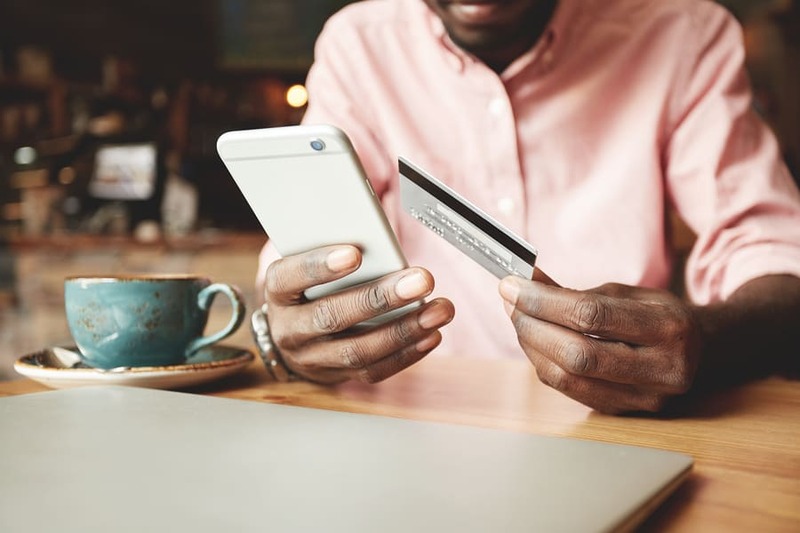 "If you’re trying to engage the connected customer, digitisation matters to your business. "Digital disruption typically arrives in waves, and it’s only a matter of time before all industries feel its effect. Some of the earliest industries affected include media and publishing, and their increasing digital maturity can be seen in the streaming services and online content platforms we now enjoy. "More traditional industries are now feeling the impact. Professional services including law and accountancy are under pressure to get to grips with the risks posed to their models by these innovations. "Automation technologies are already picking off lower grade tasks which don’t require specialist input and I know of law firms in Manchester who are experimenting with AI to improve their customer service. "Such experimentation will change how these types of businesses operate, as well as their customer base and hiring practices. It could even move the needle on training and education for their industries, with more specialist skills gaining value, while certain functions will become fully automated. "Engaging more connected services also means data is fast becoming a digital pressure point. With such businesses processing and handling vast volumes of sensitive customer information, data is already a major area of digital risk. If you don't think your business is digital, you aren't focusing on your customers. 4) Is there evidence to suggest that those businesses that invest in their digital presence and or processes, reap the rewards? "Not only do we have data that proves what the benefits of digital are, we have alarming predictions about the fate of businesses who fail to keep apace. "Altimeter’s inaugural ‘State of Digital Transformation’ report found the benefits of digital transformation to be a 63% increase in customer satisfaction, 49% uplift in lead generation and 46% increase in conversions. "Capgemini and MIT Sloan Management Reviews research, ‘How digital leaders outperform their peers in every industry’ draws compelling conclusions about the business benefits of digital transformation, demonstrating that more digitally-mature companies enjoy greater profitability, higher revenue generation and higher market valuations. At least 40% of all businesses will die in the next 10 years, if they don’t figure out how to change their entire company to accommodate new technologies. 5) What's your advice to any companies based in Greater Manchester that are thinking of improving their digital presence? Begin with the thinking. You’ll need to take a reading of your digital maturity by objectively appraising your current digital touchpoints. Only when you have this understanding can align your expectations to your KPIs. Get crucial leadership buy in. Digital transformation needs top-down support to be effective so you’ll need your senior team are on board. Recognise that culture is key. Technology platforms and services are the foundation for improving your digital capabilities but mastering cultural change is where meaningful transformation occurs. Remove silos. Silos make change on a wider scale all the more challenging and a cross-collaborative approach involving all your teams and people is much more likely to succeed. Understanding and embedding digital is everyone’s responsibility. Consider injecting new skillsets. Asking your existing teams to use new tools and processes to do new things can be a stretch, unless you invest in training. Conduct a review of your existing skillsets and identify any gaps. Investigate alternatives to traditional methodologies to fulfil the practicalities of digital work, for example using agile processes. This can help deliver work flexibly and match the iterative nature of digital. If I could give one key area for businesses to focus on when thinking about digital, data would be it. 6) What's the key area businesses should focus on when thinking about digital? "Too many businesses are unprepared, or worse, unaware of their legal responsibilities surrounding the processing of data. "With newer, tighter EU data legislation due next year, this is one of the most urgent areas I am having conversations in. It's imperative that you begin to audit your data processes and invest in robust data governance and management to meet this deadline. "Beyond compliance, getting to grips with your data can help you unlock the value hidden within for data-driven innovations, from creating new products and identifying new market opportunities, to getting a deeper understanding of your customers. Investing in this level of digital insight could be what accelerates your competitive edge". Get to grips with your data responsibilities. Read our simple guide to understanding GDPR.